Now that Rogue One’s been out for a few days, I thought it was time to talk about the decision to bring back Peter Cushing’s Grand Moff Tarkin to the big screen. 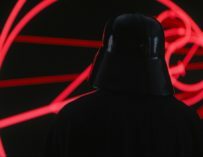 There are Rogue One SPOILERS in this article relating to a certain Grand Moff Tarkin. 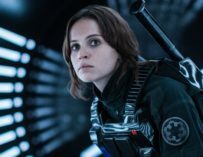 I was sold on Rogue One: A Star Wars Story from the moment I heard the pitch; a more realistic war movie set in the Star Wars universe. After having seen the film twice now, I really think it’s an incredible piece of work. I loved its more realistic feel, the fact that it is a story about real people in a galaxy far, far away who don’t wield lightsabers, or can use the Force. However, one thing I wasn’t too sure about the first time I saw the film was the decision to use CGI wizardry to bring back Peter Cushing as Grand Moff Tarkin. It really threw me the first time I saw the film, but after having watched it the second time around, I started to really think about what Lucasfilm and Gareth Edwards managed to achieve and what it means for the future of the film industry. 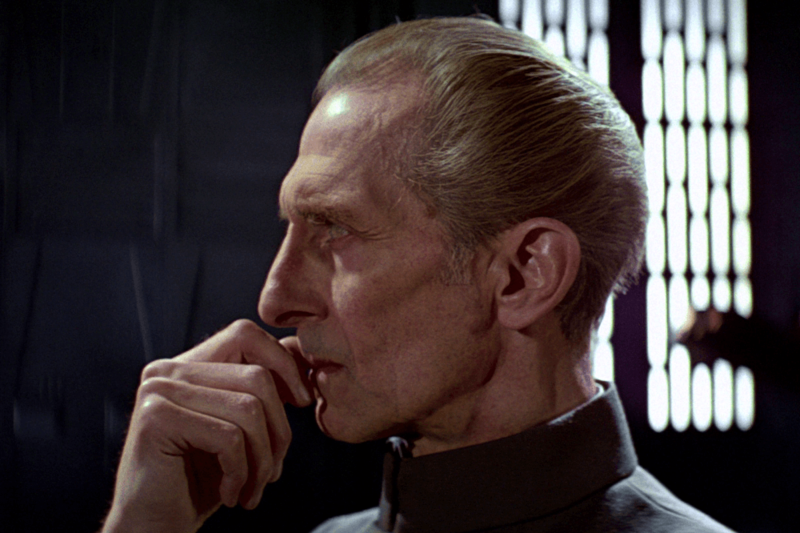 Peter Cushing, OBE, was already well known before playing Grand Moff Tarkin in A New Hope. He was famous for his roles in Hammer Horror movies, playing iconic characters such as Victor Frankenstein and Professor Van Helsing to name a few. He was often seen acting alongside Christopher Lee, who was himself cast in the Star Wars prequels as Count Dooku. However, Cushing would be known to most of you for his portrayal of the cunning, calculating and downright terrifying Grand Moff Tarkin in Star Wars: A New Hope. Charming to the last. You don’t know how hard I found it, signing the order to terminate your life. Well now he’s back playing the role on the big screen in Rogue One despite being dead since 1994. The first time I saw the film, his presence made me feel uneasy, this is what’s known as the uncanny valley. But this was perhaps due to the fact that I knew the actor is dead and my brain couldn’t handle seeing him be brought to life in CGI. However, I will say that to me he did look like a video game character amongst living breathing actors. His eyes and rather rubbery complexion just looked wrong to me, and the less said about the appearance of another character from the original (and new) trilogy who also got the same digital treatment, the better. But I really started thinking about Rogue One’s Grand Moff Tarkin after I saw the movie for a second time and asked a friend of mine who I saw the movie with what she thought of the CGI version of the infamous commander of the Death Star. She looked at me and asked if I was talking about Ben Mendelsohn’s character, Director Krennic. I was puzzled because Mendelsohn is of course alive and well, and his appearance in Rogue One hadn’t been altered digitally. But then it dawned on me, my friend wasn’t overly familiar with the original trilogy, she’d grown up watching the prequels (don’t judge), and Tarkin’s appearance didn’t seem strange to her at all, in fact she’d been completely fooled into believing that it was a real actor onscreen. When I told her that Peter Cushing had been dead for over 20 years, she looked at me in utter amazement. 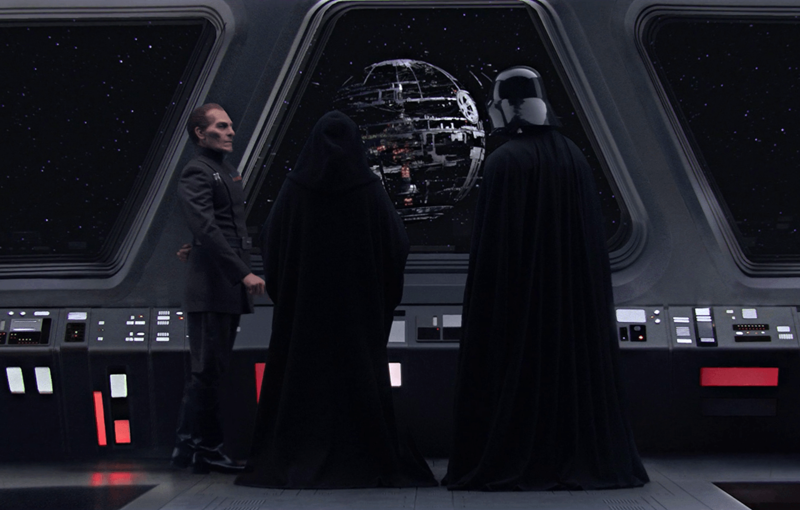 So what I think I’m getting at is that many people who have been complaining about Grand Moff Tarkin’s cameo in Rogue One, claiming that it looked terrible, are actually wrong. The CGI is in fact incredibly well done, the real problem here is our brains playing tricks on us. 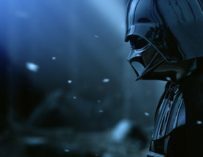 We know that the thing onscreen is not a real living, breathing actor, but a clever computer graphic, therefore our brain is telling us that something’s not right, thus many angry threads on the Internet and critics claiming that it was poor CGI, which just isn’t true. But then there’s a bigger question, could Peter Cushing’s appearance in the latest Star Wars movie start of trend in Hollywood of reanimating deceased actors for the silver screen? This is an interesting question, both morally and technologically. The fact of the matter is that the tech is now at the point where this sort of thing can be done effectively, but should we really be bringing back actors from the dead? Should we be using their image without their consent? Imagine bringing back James Stewart in a movie, only to have his performance be criticised, even thought it’s not actually James Stewart acting onscreen. It’s a difficult one. There’s also the uncanny valley factor which means that our tiny brains wouldn’t be able to handle the fact that we are watching a dead person be brought back to life via CGI.